5 Tips For Dealing With a Seller Who is "Just Not That Into You"
As Valentine's Day approaches, most people go shopping for flowers, chocolates, gifts, or someone new to share their life with. In the real estate world, buyers are out shopping for that perfect home to "settle down with." Given the ups and downs of a real estate search and the love affair many buyers have with potential homes, many real estate agents feel their job is one part agent, one part therapist, and one part matchmaker. Buyers go to multiple open houses over the course of weeks or months in hopes of falling in love. Just like the search for a partner, a buyer has certain qualities in mind. In home-shopping terms, it's usually price, location, number of bedrooms and bathrooms, and the desire for the home to be in a certain condition. Buyers sift through dozens of properties, maybe even going on "second dates" or in real estate terms, "private showings." Because the buyer has often been in the market awhile, they know that when the right house comes along, it is the one. They know the comps and are prepared to make an offer at fair market value. Unfortunately, sometimes love is unrequited - even in real estate. The seller has every right to reject a buyer for any reason whatsoever. They may stand firm on their price and wait it out for a stronger buyer or for that higher price. It could be they don't like the buyer's contingencies, such as the need to sell your home before buying, or they aren't confident your financing will come through. Here are five tips for dealing with a seller who is "just not that into you." 1. Go to your max. After submitting an offer and even going through a series of counter offers, you realize you're dealing with an uncooperative seller. You're wasting time by holding back and playing his game. If you really want the home, it's time to go to your max. By putting your best offer forward, you'll have done all you can. This is easier said than done, of course. But if the seller isn't interested in working with you, move on. Hanging around wishing the seller will come to their senses and accept your offer is a waste of time and emotional energy. By pining away in your love affair with that house, you risk missing out on other great properties that are available and whose owners may be more "into" you. And who knows? Sometimes, when you move on, the seller may suddenly show interest. The sheer desire to own a home and the assumption that an available home should be yours doesn't always translate into home ownership. If things don't work out for you, analyze what went wrong. What mistakes could you have avoided? Did you spend too much time negotiating with that seller? Did you get too emotionally involved? If you can walk away with some lessons learned, your next try at home ownership should be easier and more likely to succeed. 4. Don't try to figure out the seller. You've got no idea what's going on in a seller's head. For all you know, the seller is emotionally attached to the home and not really ready to sell. Or maybe the sellers are going through a divorce, and one of them is hesitant to sell. It's certainly tempting to play armchair analyst when a seller isn't selling to you for mysterious reasons. It's also, in most cases, a waste of time and energy. Accept the fact that the seller just isn't that into you for whatever reason and move on. 5. Do try to figure yourself out. Is there a pattern developing? Are you only going after the ones you can't have? If so, are you sure you're ready to commit? 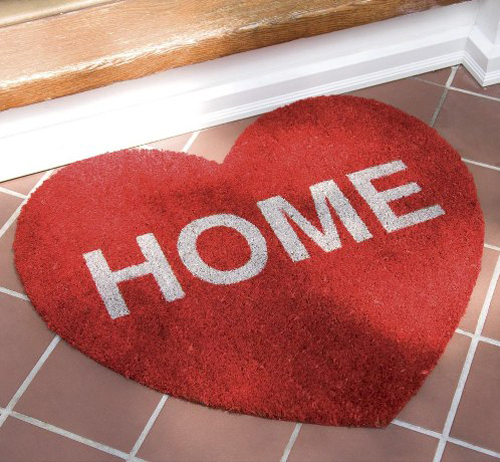 Like finding a mate, buying a home is a huge decision and financial commitment. If you find that you keep going after sellers that aren't co-operating, the issue may be you, not them.